A 2017-19 contract agreement between Minneapolis Public Schools (MPS) and the Minneapolis Federation of Teachers (MFT) was approved by MFT members earlier today. The MFT announced members voted to approve the contract tentatively agreed upon on March 12 by its negotiating team. A 0.5% salary increase for members in both years of the contract (retroactive from the start of the 2017-18 school year), in addition to automatic steps-and-lanes increases that average out to an expenditure increase for MPS of approximately 1.5%. Deep commitment around equity from MPS through contract language and Memoranda of Agreement, including protection of teachers trained through the Grown Your Own program, support of immigrant staff members, and an early retirement option that will likely mitigate the loss of less senior teachers of color. The cost of the salary increase included in this agreement is $2,443,462, which includes the 2017-18 0.5% increase at $1,213,304 and the 2018-19 0.5% increase at $1,230,158. Other cost increases to the two-year total contract package — some of which are contractually automatic and previously negotiated — include steps-and-lanes salary increases, health insurance, dental insurance, critical illness and a retirement incentive, bringing the total two-year increase to $14,974,693. 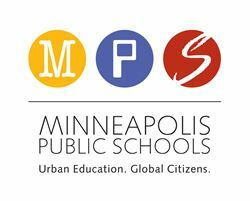 The MPS Board of Education will vote on accepting the contract at its April 10 board meeting. A copy of the signed agreement can be found here.